IRS: The IRS has issued clarification to the instructions for correcting taxable wages and tips subject to Additional Medicare Tax Withholding on line 11 of the Form 941-X. Federal Child Support: Recently signed legislation requires that all states offer the option of receiving the child support withholding order electronically. The deadline to have the service set up is October 15, 2015. Currently over 30 states already offer this feature. See our blog of 11-18-14 for more details. California: The DLSE has released the minimum wage rates that computer software employees and physicians and surgeons must receive to be considered exempt for 2015. The computer software employee’s minimum hourly rate of pay will be $41.27. This is up from $40.38 for 2014. The monthly salary will be $7,165.12 and the annual salary will be $85,981.40. The physician and surgeon’s minimum hourly rate will be $75.19 per hour. This is up from the rate of $73.57 per hour effective in 2014. 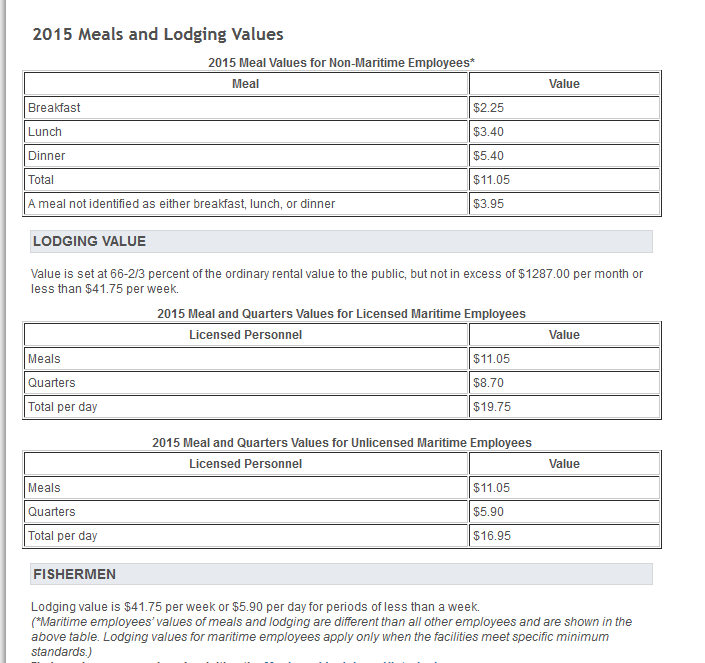 California Part 2: The state has released its 2015 meals and lodging rates. Colorado: The minimum wage effective 1-1-15 will be $8.23 per hour. Tipped employees must receive $5.21 per hour. Wage Order Number 31 must be posted. Maine: The SUI taxable wage base will remain $12,000 for 2015. New Hampshire: The state is the latest that has signed a Memorandum of Understanding (MOU) with the federal Department of Labor to share and coordinate enforcement efforts in the area of misclassifying workers as independent contractors. So far 17 states have signed MOUs and agreed to work with the federal DOL to curb misclassification of employees. New Jersey: Form W-2 and 1099 reporting guidelines for 2014 are now available. State Unemployment Insurance (SUI): The employee rate will remain 0.425%. This includes the Workforce Development/Supplemental Workforce Funds surcharges. The maximum employee contribution will be $136.00. Ohio: the employer and school district withholding tax filing and payment requirements have changed, effective January 1, 2015. The change occurred on November 13, 2014. Employers are now required to file and remit payment for state and school district income tax withholding returns electronically using the Ohio Business Gateway. This requirement applies to all withholding tax returns that are filed and paid on or after January 1, 2015. That’s our round-up for this week. We will have another round-up next Friday. To receive the news items as they happen follow us on Twitter, Facebook or LinkedIn.